Members of the New York and Connecticut congressional delegations announced on Friday a plan to launch a study of Plum Island’s natural and historic resources, saying the plan is one step toward halting the sale of the island to developers. In 2009 DHS said the island would be sold to developers to help fund the new BioLab Level 4 on the campus of Kansas State University, which is set to open in 2022. Members of the New York and Connecticut congressional delegations announced on Friday a plan to launch a study of Plum Island’s natural and historic resources, saying the plan is one step toward halting the sale of the island to developers. The lawmakers said that four federal agencies would consider different options for preserving the island after the government biolab departs for its new location in Kansas. Leah Schmalz, program director for the advocacy group Connecticut Fund for the Environment, called the study a turning point, because it indicates a willingness on the part of the federal government to consider other options than selling the island. “I think it represents the moment that we set foot on a different path,” she said. CTPost reports that in 2009 DHS said the island would be sold to developers to help fund the new BioLab Level 4 on the campus of Kansas State University, which is set to open in 2022. Blumenthal and other lawmakers from New York and Connecticut called on the federal government to turn the island into a national park. They noted that Congress has already allocated the funds for the Kansas laboratory, making the sale of Plum Island unnecessary. The lawmakers have instructed DHS to collaborate on the study with the Environmental Protection Agency, the Department of the Interior, and the agency in charge of selling the island, the General Services Administration. 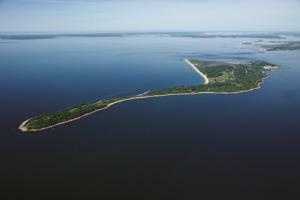 Schmalz noted that this is the first time the EPA and Department of the Interior, both of which on record expressing reservations about the sale of the island, are involved in determining Plum Island’s future. The report is expected to be submitted to Congress by June.